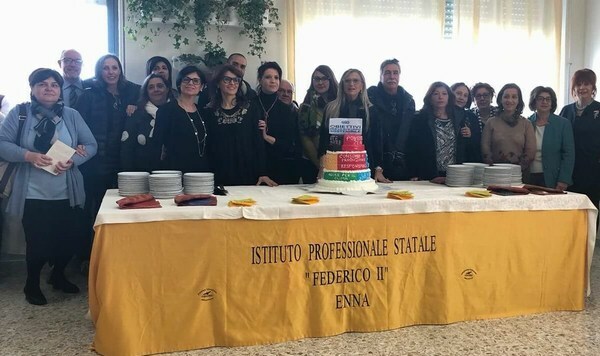 On Wednesday the 13th of December our school, the IPS Federico II of Enna, held a seminar where the Erasmus Project "Agenda 2030: That'our Challenge" was officially presented. We devoted the seminar also to Goal 1:no poverty. Three testimonials were invited to talk about their experiences in the poor areas of the world, Uganda and Zambia in Africa and in the territory of Enna. Dulcis in fundo, all the participants could taste the coloured cake representing the 17 Goals of Agenda 2030, prepared by our students of patîsserie, guided by the teacher, Mr Angelo Pittá. 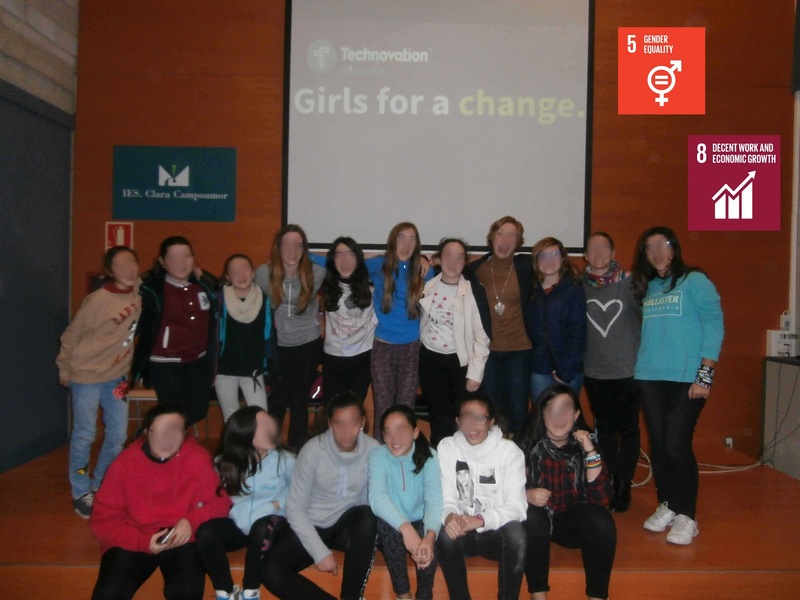 A few weeks ago, a group of students from IES Clara Campoamor campaigned to promote the activities of the "Agenda 2030". 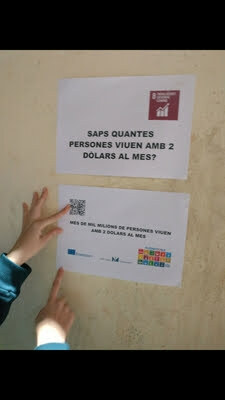 These guys distributed posters of certain points to deal with the Agenda 2030, posing a question about this, and later giving the answer. We believe that this action will be able to make people aware of what is happening, and help improve the situation. With help, it is possible to achieve our goal. The 22th of December was our last workday before the End of the Year. This day was an special date to work on actions related with the Goals of the Agenda 2030. 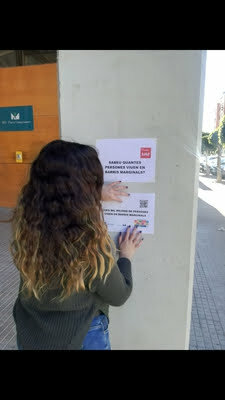 The students of Commerce prepared a solidary market with the support of the Town Council of Alaquàs and the money raised was donated to The Red Cross. In addition, we collaborate with the association "Karamaa" in the collection of non perisable food for the refugees camps in Greece. 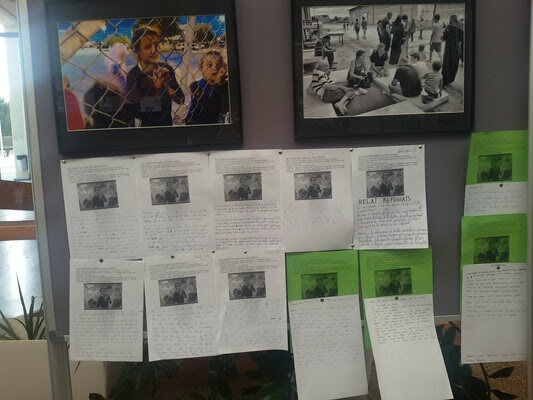 We accompanied this action by an exposition and redactions of our students about the refugees. 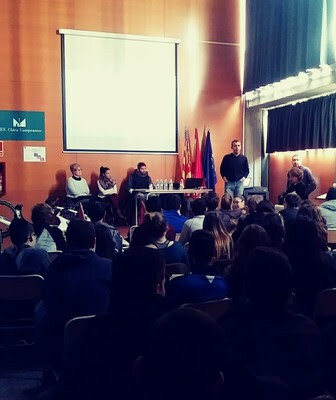 Athletes of the paralympic association "Tetrasport" came to our school to talk about their preparation. We had also talks where the associations "Médecins sans Frontières" and Red Cross explained us their work. Wonderful Christmas for everyone on earth!!! Now, the Greek team send you 2018 wishes for the New Year to offer health, happiness and success in every “goal” of your life and bring us together in close! 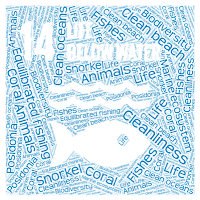 The best way to meet goals 6: Clean Water and Sanitation, 15: Life on Land and 17: Partnerships for the Goals of Agenda 2030 was to visit the wetland of rare beauty and great ecological interest in Lake Ziros. Thus, on 19th December, the Erasmus students of our school attended the training program "The Water Company in Ziros Lake" of The Environmental Center of Filippiada, where they got to know the ecosystem of Ziros lake, the physical and chemical properties of water, its biological role and the problems that arise from its inappropriate use and mismanagement. 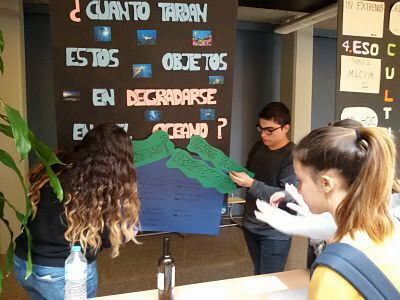 The program combined all the elements concerning the study of water through an experiential approach, as there was direct access to the lake and the lakeside ecosystem, as well as observation, research and activity that were carried out. Specifically, physicochemical parameters of lake water, such as pH, nitrite, nitrate, phosphate, ammonia, temperature and dissolved oxygen, were measured by the students themselves with the guidance of the responsible staff. 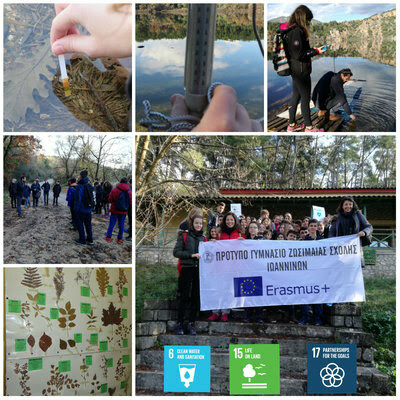 The Erasmus+ students of our school attended the informative and creative workshop organized by the National Parks of Vikos-Aoos and Pindos, Lake Pamvotis and the National Park of Tzoumerka, on Saturday December 16th , at the "Silver Christmas" in Paralimnio Recreational Park. The program included a trip to the traditional local customs of Christmas, a guided tour to the lake's biodiversity exhibition and the photo exhibition with landscapes of the protected areas, as well as handicrafts of natural materials such as twigs, pine nuts, reeds and others. 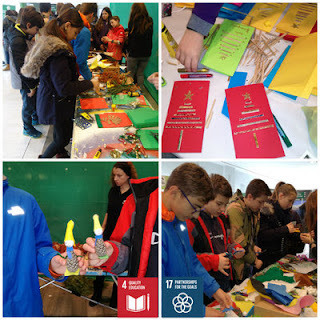 The purpose of this workshop for students was to get to know the biodiversity of our area, to realize its value for our traditional culture and to express themselves artificially on the occasion of the approaching Christmas. 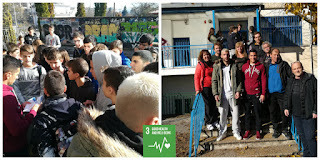 Their experiential participation has proved to be both enjoyable and beneficial, and is part of the implementation of Goal 4: Quality Education and Goal 17: Partnerships for the Goals of Agenda 2030.
football player of PAS Giannina and international player with the New Zealand team, who is fighting to eradicate poverty, the students and teachers of our school prepared an Action of Voluntary Offer to the financially vulnerable groups of our city, with the collection of long-lasting food, stationery and toys, through the Social Market of the Municipality of Ioannina. Knowing that many families suffer from poverty, we managed to gather many products and, thus, implemented Goal 1: Zero Poverty, Goal 4: Quality Education and Goal 17: Partnerships for the Goals". This educational act gave us the satisfaction of offering to society through our school initiative. 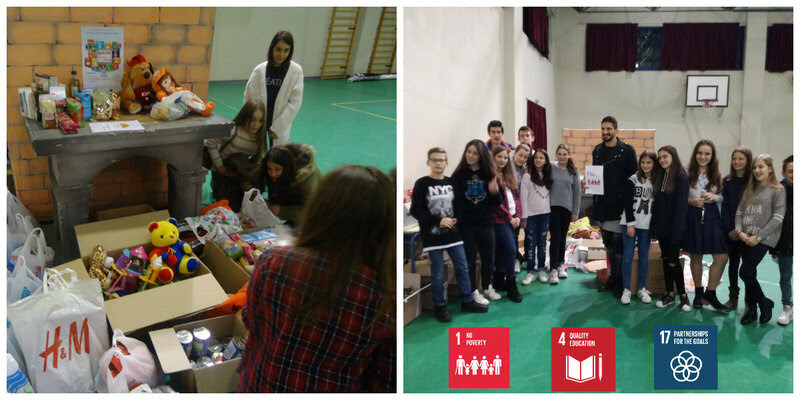 Our school was decorated in a Christmas mood on December 13th, in order to welcome the public and the participants of the event to disseminate the goals of the Erasmus+ Program entitled "Agenda 2030: That's Our Challenge!". The successful and original event included the presentation of the 17 Goals by students participating in the program, the lecture of Mr. Fatouros, Communication Officer for Greece & Cyprus UNRIC, as well as the partnership of Mr. Tzimopoulos, a football player of PAS Giannina and international player with the New Zealand team, who is fighting to eradicate poverty, while the debate was co-ordinated by Mr. Karamitsos, a journalist of the local TV channels. 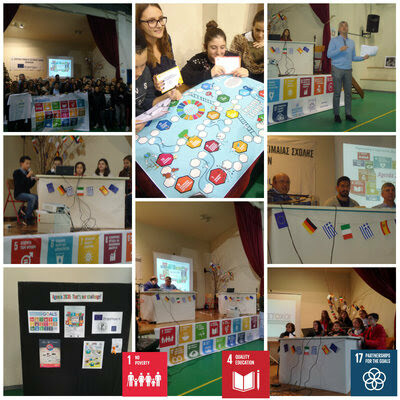 The students' initiative to ask questions to the speakers was worthwhile, as well as their participation, for the first time in Greece, in the experiential game "We Have Goals". 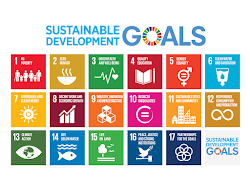 Thus, the event itself was a dissemination of Agenda 2030 and, at the same time, the implementation of Goal 1: Zero Poverty, Goal 4: Quality Education and Goal 17: Partnerships for the Goals. 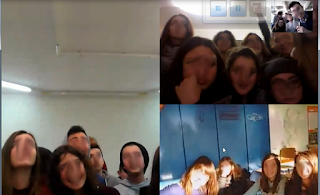 Today we had our first videoconference. All the teams wish Merry Christmas and Nice Year and call the others to our first mobility in Ioaninna. We are anxious to see you there! On the occasion of our cooperation for the presentation of Agenda 2030 with Themis Tzimopoulos, the footballer of the local team "PAS GIANNΙΝA" and international player with the New Zealand team, who strives for the elimination of poverty internationally, executives and players of the team visited our school and distributed free tickets to students. The students' response was enthusiastic. 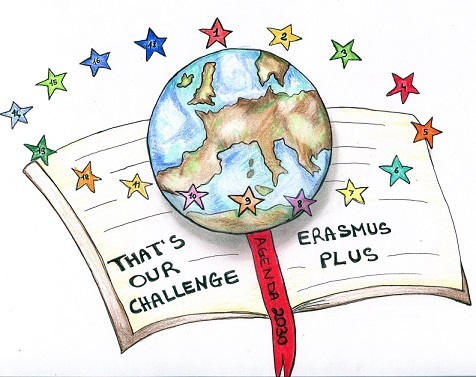 Thus, in the implementation of Goal 3: Good Health and Welfare, the sports spirit of Erasmus+ students gave their classmates the opportunity to enjoy this football match and, at the same time, reinforced the local team. Hello, we want to recommend you the contest Technovation Challenge that offers girls around the world the opportunity to learn the skills they need to emerge as tech entrepreneurs and leaders. Every year this contest invite girls to identify a problem in their community, and then challenge them to solve it designing an App with App Inventor. Girl from our school will participate next year and we think that could be interesting for you. We recommend you The World’s Largest Lesson that introduces the 17 Sustainable Development Goals to children and young people everywhere and unites them in action to achieve extraordinary things by 2030. 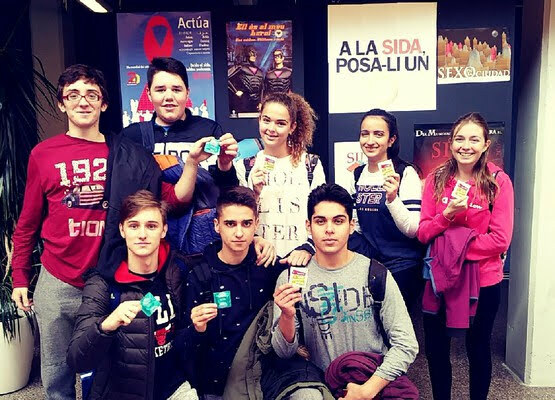 Comme chaque année, le lycée Clara Campoamor organise le marché solidaire avec la collaboration de l'a Mairie d'Alaquàs: La solidarité comme valeur universelle et contenu transversal au sein du programme Erasmus+ (Objectif 1). 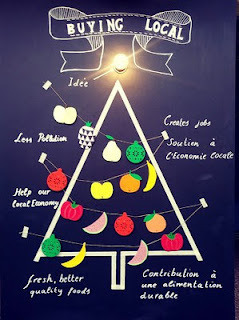 Le marché aura lieu le 22 décembre. L'argent collecté será donné a Croix Rouge. On vous attend ! 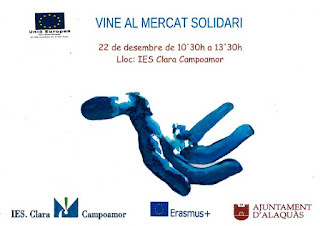 As every year the High School Clara Campoamor organize a solidarity market with the support of the Town Council of Alaquàs: Solidarity as an universal value and transversal content in Erasmus+ (Goal 1). The Market will be on december 22. Money raised will be donate to The Red Cross. See you there! 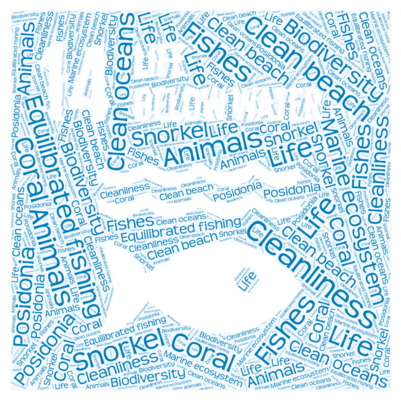 Goal 14 "Life below water"
Our physics and chemistry teacher gave us the idea of making a very large poster in which the students of the center will be asked: "How many years do you think it would take for these objects to degrade in the oceans?" Besides of that large poster that the teacher told us, we put some small cards with the name of the objects and the real object so students could see them. After three weeks of work we lowered it to the entrance of the institute and we let them put their opinions of how much they believed that they would take time to degrade. 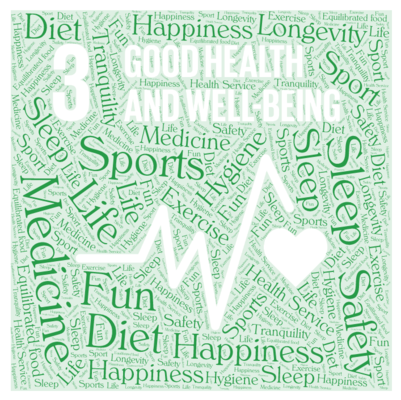 After a week we saw that many people had already answered and we decided to put the right answers and that is how we finished our project. Our wordcloud inspired by the Greek Team!! 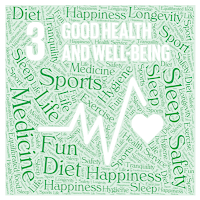 Inspired by the Greek Team we have done a wordcloud with Goals 3 and 14. We encouraged you to do the same with your goals! This year the UN slogan to fight against AIDS is "My Right to Health". We have made an exhibition focused on the use of condoms in sexual relations. 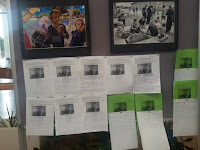 In addition, the class-change ringer has reproduced information about this big problem. According to the health authorities, 10 people are infected with the virus every day; so we need to know that and to protect us. Cette année le slogan des Nations Unies pour la lutte contre le SIDA est "Mon Droit à la Santé". Nous avons fait une exposition sûr l'utilisation des préservativs dans les relations sexuelles. Également la cloche de changement de classe est reproduit information sûr ce grave problème. Selon les autorités sanitaires, 10 personnes sont infectées chaque jour avec le virus; alors, nous avons besoin de le savoir et de nous protéger.